Wise Dan and jockey John Velazquez team up once again for the Fourstardave Handicap on Saturday, August 10, 2013 at Saratoga Race Course. Fourstardave Handicap 2013; Wise Dan Winning Streak: The Fourstardave Handicap takes place Saturday, August 10, 2013 at Saratoga Race Course in Saratoga Springs, New York. The $500,000 one-mile turf race is for three-year-olds and up. Horse of The Year Wise Dan and Hall of Fame jockey John Velazquez return to the track with the magical water to defend their 2012 Fourstardave title. Out of all seven contenders in the Fourstardave Handicap, Wise Dan is the most impressive. Wise Dan has finished first in 16 out of 23 races throughout his career, the last being the Firecracker Handicap on June 29th at Churchill Downs. The six-year-old gelding is currently on a winning streak finishing first in his last seven races including the 2012 Breeders’ Cup Mile. 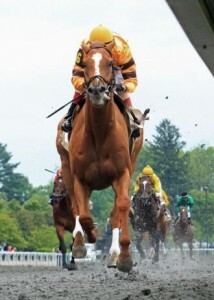 Wise Dan will carry 129 pounds against his six rivals in the 2013 Fourstardave handicap and break from post position #1. 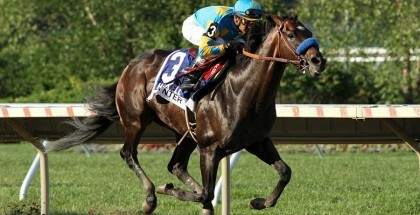 The “Champion Older Male/Champion Turf Male” carried 128 pounds to victory in his last race. In related news, lucky local Adam McNeill will be presented $15,000 to place a wager on the 2013 Fourstardave Handicap. McNeill, who is a financial advisor in Saratoga Springs, is one of five fans that have a once in a lifetime opportunity to wager a piece of the $75,000 Saratoga Race Course promotion presented by honorary chairs Marylou Whitney and John Hendrickson (enter here). Adam McNeill will be presented the $15,000 cash to place his wager and announce his Fourstardave pick on Saturday after the 9th race in the Winner’s Circle. Last week, contestant winner Kevin Brockley placed his $15,000 wager on defending champion Fort Larned, who finished fifth in the Whitney Invitational. Hopefully Adam McNeill has better luck this week picking the winner at Saratoga Race Course. 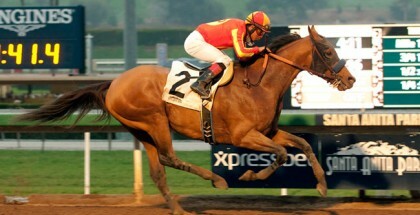 Do you think he’ll pick reigning champ Wise Dan in the Fourstardave? And if he wins, what will the financial advisor do with all the money? Lady and The Track would like to wish jockey John Velazquez, trainer Charles LoPresti, owner Morton Fink, and the dynamic Wise Dan the best of luck in the 2013 Fourstardave Handicap. We would also like to wish Adam McNeill the best of luck picking the winning horse with his cool $15k! Goos Luck! Safe Run! 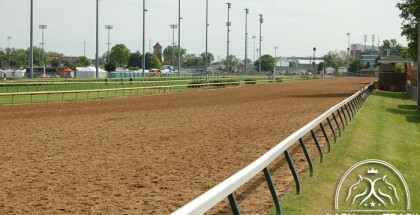 The Fourstardave Handicap is the 10th race of the day with a 5:45 PM EDT post time. 7 Lea 5/1 Rosario/Stall, Jr.